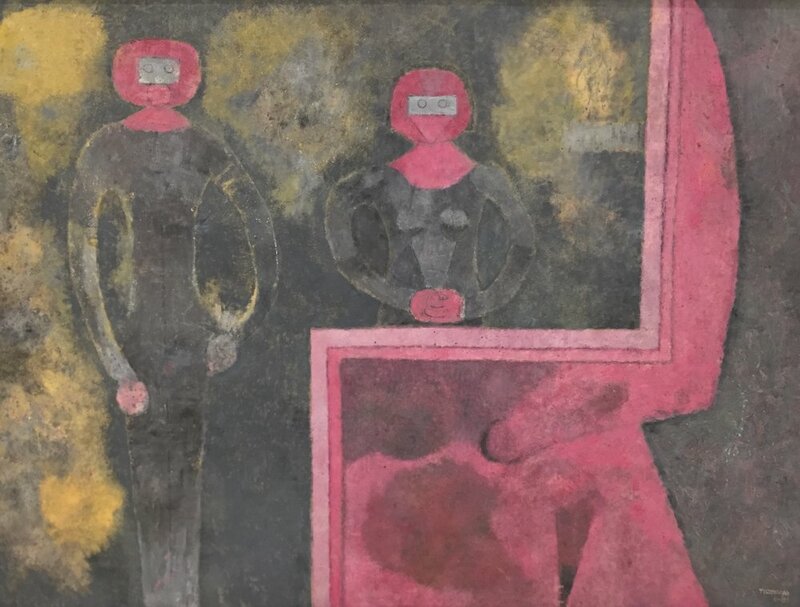 Rufino tamayo, retrato conjugal, 1981. Oil on canvas, 95 x 130.1 cm. Collection: museo tamayo, mexico city. image: christopher squier. Image posted january 11, 2018. 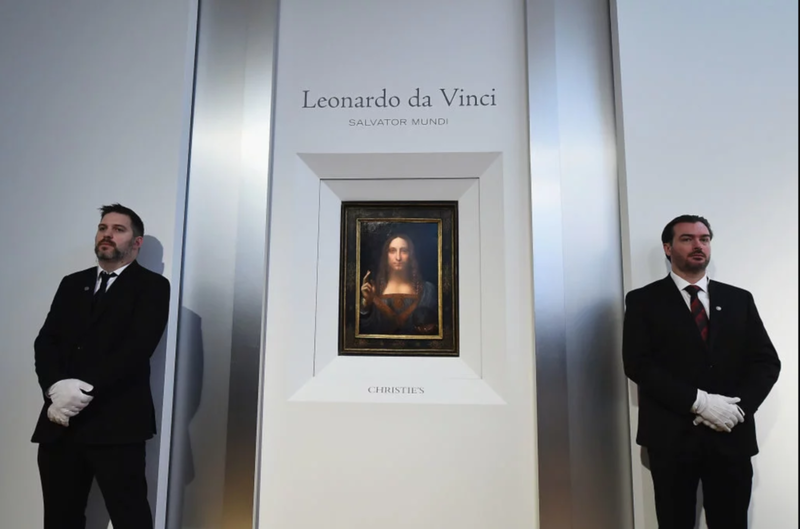 Christie’s unveils Leonardo da Vinci’s Salvator Mundi [pictured] on October 10, 2017 in New York City. Photo by Ilya S. Savenok/Getty Images for Christie’s Auction House, SOURCED FROM ARTNET NEWS. POSTED 14 DECEMBER 2017. ANDY WARHOL, UNTITLED, CA. 1985, GELATIN SILVER PRINT, 10 X 7.93", SFMOMA, COLLECTION OF THE SACK PHOTOGRAPHIC TRUST, © THE ANDY WARHOL FOUNDATION FOR THE VISUAL ARTS / ARTISTS RIGHTS SOCIETY (ARS), NEW YORK, HTTPS://WWW.SFMOMA.ORG/ARTWORK/ST2008.018. posted 5 December 2017.